Never worn ... 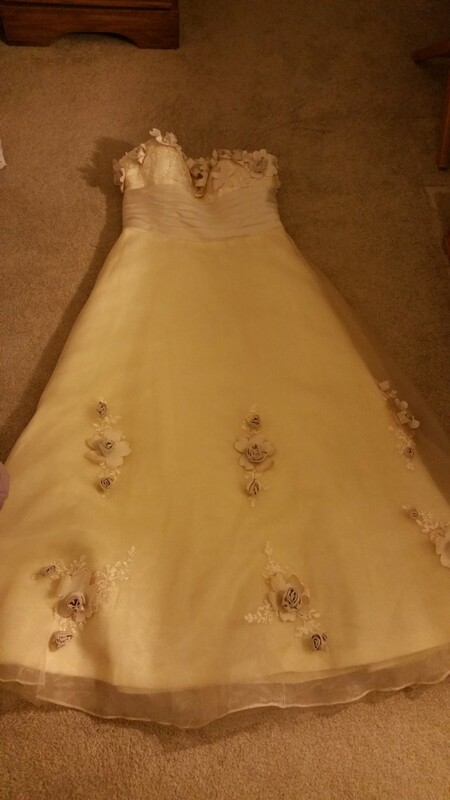 Size 14 -- Champagne color ... perfect for the second wedding ... Elegant, beautiful chiffon with lovely detail ... Bodice is very flattering... ... Convenient zipper in the back ... Don't miss out on this dress.